Today is Memorial Day. I know that there are lots of activities, parades, and bbq’s happening today. Some are celebrating the beginning of summer. (It sure doesn’t feel like summer here at all), Others are honoring all service members past and present, alive or dead. Some are just enjoying a day off from work and still others wish to celebrate but don’t have the day off. For me Memorial Day is about honoring those who have DIED, specifically those who died IN SERVICE (started with Civil War, I believe) and less specifically those who had served at some point and died and then even more globally loved ones who have died. Though I am truly grateful those who are PRESENTLY serving, and those who have served but are STILL ALIVE, today, I focus on remembering those who have died. May their memories be eternal. Both of my grandfathers fought in World War II. My father fought in Korea. Two of my uncles fought in Vietnam. None of them died in battle or while still on active duty, all but on of them have since passed away. It is Papa, Grandpa Elmo, Daddy and Uncle Vern that I remember today, along with all those fallen heroes who DIED while on active duty serving their country and preserving our freedom. Today , I’m sticking with the meaning of the word MEMORIAL which implies honoring the dead. Memory eternal to the service members who gave their life for their country, and memory eternal to our loved ones. I’ve had such a busy May that it should not surprise me that it is the end of the month already but it does. Time rocketed by me during May and I missed posting last week about the Reading Aloud Challenge. Not only have we NOT finished any of the books I’ve posted about, but for most of them we’ve not even made any progress. Despite my desire to make reading aloud a priority in our lives, this month I’ve really struggled. I decided to give myself permission to relax about the reading aloud and encourage the girls with their independent reading. I also decided to spend some time reading for me. There are benefits to having your children see YOU reading for pleasure. And it’s not that I haven’t read aloud, it’s that I wasn’t reading aloud our literature choices. Ok I haven’t read aloud to BooBear or Turtlegirl but I have been reading aloud history/social studies to Tailorbear and Supergirl along with some science. You can read my past Read Aloud updates here. Debra at Footprints in the Butter started the Read Aloud Challenge You can find this week’s post here. I had planned on using this with both Tailorbear (6th grade) and Supergirl (working at a 1st grade level). The program states that it would be appropriate for grades 2-7. Because the units stand alone and are not dependent on each other, I let Tailorbear choose the topic that interested her most. She choose “The Universe, Stars and Planets". My plan was to use this with both girls and add in some of the “Digging Deeper” suggestions for Tailorbear. For every lesson CGC includes a “Digging Deeper” section of activities you can use to add depth to a lesson. Some of these suggestions are specific such as “learn to identify three constellations”. I found other suggestions vague and frustrating such as “check out The Astronomy Book by Dr. Jonathan Henry.” Check out as in look it over? What parts? Which chapters go with this specific lesson? How exactly should I use this additional resource with this lesson to add depth for my 6th grader? CGC alone is not enough for Tailorbear but it is nearly perfect for Supergirl. Trying to use some of the additional resources suggested with Tailorbear made the program too teacher intensive for me. We decided that Tailorbear would drop CGC and I would continue with Supergirl. Supergirl needs quite a bit of help with the notebook pages because of her fine motor skill delays. I would NOT want to be doing this with two or more children who require help with cutting, gluing, and even writing. It’s working well for us and she enjoys the notebook pages but skips most of the coloring and I do the cutting and I play scribe. Some lessons are not broken up into parts, but I feel it would be beneficial for Supergirl for us to break them up. We are taking our time and covering the Planets (all of them are included in one lesson that is not broken down into parts) at a slower pace.. We are doing science on a rotation basis with history so we do science 2 to 3 days per week so we’re covering a planet a week. It will take us quite some time finish the planets but she’ll have done a notebook page for each planet! I am not using the Bible portion of the lesson, but for those who like to do bible reading with their other subjects, this is included. I really appreciate the “introduction” and “vocabulary” sections. These sections together are perfect for one day of instruction for Supergirl. We can then do an activity or something from the digging deeper on another day. Day 3 (or Day 2 if we do not add in other activities) is the notebook page and if I want to stretch a lesson for one more day we can use the “review” section for discussion for the last day. I did not care for this program for Tailorbear. It requires adding in so much of the digging deeper additional resources to bring it to her level,and some of those additional resources are complete curriculum resources. I felt I could just save myself the trouble and use one of them instead! Perhaps if an older student has not studied science, this would work. I do need to point out though that she did like the notebook pages. I really like this for Supergirl because it is all laid out for me. It is a gentle approach to introducing her to God’s Creation. I love the notebook pages. When they are finished, we both get a sense that we have accomplished something. For more information about Considering God’s Creation please check out the FAQ page HERE. For sample pages of the program click HERE. The Considering God’s Creation set is $29.95 and can be purchased HERE. Eagle’s Wings also offers materials for history, Bible, geography and phonics. Click HERE to see these other products. Please click on the banner below to read what my fellow crewmates had to say about Considering God’s Creation. All information is correct and accurate as of the date of this review. Disclaimer: As a TOS Crew member, I received Considering God’s Creation free of charge to review. Right now I feel like life is just spinning out of control. I’ve got so much on my plate and so much that I have to do. My head is spinning as I try to figure out where to start. Do I start with the last review I have due this week, or clean my bathroom? Maybe I should start with doing school with Supergirl using the review products that have reviews due next week? Maybe I should start with getting school done with Tailorbear who is finishing up her 6th grade work? I am grateful the the sun is shining because that sunshine is keeping me from becoming MORE of a screaming maniac. I am also grateful for blogging which at this very moment is helping me to sort out all this BLAH inside my head. I keep asking myself two things: HOW did the house get this messy and out of control? and WHY did we let it get this way? I don’t like the answers that I hear quietly whispering in the back of my mind. Can you hear the whispers? Routines, Habits, Lazy, Priorities, Lazy, Tired, Lazy, Routines, yes those are the words running and whispering and hinting inside my head. This isn’t a new problem for me. I recognize the symptoms of the circle: house starts to get out of control, I get discouraged, house gets more out of control, depression sets in, house gets worse, more discouragement. I know the solution. I’ve actually started working on the solution! I am participating in the 31-day challenge but the TIMING has been awful! I’m trying to finish up our school year, finish up the Crew *AND* start a cleaning challenge? I *should* just drop the cleaning challenge and focus on finishing school and crew but I can’t concentrate on the school or the reviews with the house in such disarray. One more week. Just one more week. One more week of reviews due and one more week of “official” school. I can do it. I can do it because I’ll find my strength in Christ. I think I know where to start now. I’m going to find a quiet place and mediate on the Jesus prayer. Then I’ll use the old stand by timer rule. I’ll the set timer for a set amount of time and work on something. And I’ll breathe. Must remember to breathe. Slow deep breaths. Lord Jesus Christ, Have Mercy on Me a Sinner. Robert is just a typical teenager who enjoys water basketball and being with his friends. Or is he? Meet Robert Pierre, an 18 year old High School senior set to graduate this week. This Christian singer-songwriter has just finished recording the vocals for his third album. Hailing from the Orlando, FL area, Robert as begun rehearsals for a few summer festivals. His new CD is due out later this summer, but I had the opportunity to listen to his EP and I get to share these four songs with you! If you like contemporary Christian music with an upbeat, feel good tempo you’ll want to check out these songs. I particularly enjoyed “Jesus” and as the mother of teenagers, I appreciated the fourth song “Identity”. I think hearing about standing up for your faith in midst of peer pressure is more effective coming from another teenager than from a parent or another adult. This EP by Robert Pierre is available on Noisetrade. You can go to https://www.noisetrade.com/robertpierre# to listen to each song individually. (Click on his picture to find the the listen now playlist). Alternately, you can enter your email address and receive the EP as a download. Congratulations on your upcoming graduation, Robert! Our family has recently had the opportunity to try out Wondermaps from Bright Ideas Press. Wondermaps is a customizable collection of over 350 maps. Mapping is a great way to add geography skills to any literature rich home school. I want describe how Wondermaps works but I think this tutorial clip does a far better job explaining the product than I could. Chronological Index for the Historical Maps section. The Teacher’s Guide section which includes a tutorial video, a Quick Start page and a user manual as well as links to other helpful resources. I could create a map that my student could label and I could use the added layers on the software as an answer key to grade the student printed map. Maps for Mystery of History and All American History are included. I found it difficult to navigate. For example, a map that I thought should be in one location, was not in that location but in a different location. Other maps would be in both locations. Customizable options were not consistent across the different maps. I would have loved to have had the same options available for all maps such as the color/political layer available for states. I would have loved the color/political layer for regions such as Western Europe. Maps for Mystery of History were not customizable. I could not add layers and they were sidewise. Overall, I think this is an incredible product. It’s not working as well for me as I hoped but I think that is a flaw in my character and not with the product. This is a great supplemental resource and I struggle with being consistent with adding in those great supplements. Next year we’re going to be using a literature based curriculum that has mapping suggestions on the assignment sheet. I plan on using Wondermaps to complete those mapping assignments. Bright Ideas Press has many resources be sure to check out their product page. I’m partial to the Mystery of History series myself. Click on banner below to read what my fellow crewmates have to say about Wondermaps. All information is correct and accurate as of the date of this review. Disclaimer: As a TOS Crew member, I received Wondermaps from Bright Ideas Press free of charge to review. This review is my honest opinion with, hopefully, enough detail as to why I liked or did not like a product so that my readers can make an informed decision. I received no compensation. I can’t believe how fast the year has gone! The Crew year starts in mid-June and we’ll finish up the year at the end of May. Jodi, our lovely Blog Cruise hostess, encourages us to share our favorite homeschool experience in relation to our participation in this year’s Crew. I don’t know how to pick out ONE favorite experience so I’ll share three specific experiences. First, I want to share about something that happened early in the crew year. Our Vendor Liaison Crew Leader, Brenda kept a list for us of upcoming vendors with links to the website. This list whet our appetites and kept us guessing as to which particular product we might receive. There was a vendor on the list that I was sure I did not want their product. Just what in the world would I do with it? Why would I want it. It seemed geared for the classroom; how would it possibly work in a home environment? I was sure this was one product that I did NOT want. Well, my name was on the list. Remember this was very early in the Crew year. I’ve been keeping a top ten list of favorite products and here we are two weeks from the end of the Crew year and this product is STILL in the number one slot! I bet you’re curious right? You want to know what it is? It’s LanSchool. You can read my review here. What an experience to think that I wouldn’t want a product and to find out that it’s been something we have loved and used every day! The second experience is also product specific. In this case though I knew from the get go that I *wanted*, no *needed* this product. I shouted for joy (really nearly woke up my children!) when I saw my name on the vendor list for IEW. But even though I knew I wanted and needed this product, I had no idea just how well Teaching Writing Structure and Style along with Student Writing Intensive would be for my family. I didn’t expect that I would end up planning on purchases MORE products from IEW. You can read my review of IEW here. I wish I had a picture that captures the essence of experience number 3. Pictures are worth a 1,000 words but my words will have to suffice. This isn’t about a product per se but rather about Supergirl’s reaction. Whenever we would receive a product that was specifically targeted for her, she would get so excited. She wants so much to be like her sisters. She wants her own school. We’ve been so incredibly blessed by the Crew with review products just for her that have been *incredible*. In fact, I’ve set aside much of the curriculum I had planned to use with her in order to continue using products after the review period was completed. We’re using a Latin program, a reading program, a social studies program and a science program all provided by the Review Crew. I have loved being a part of the Crew. Thanks Old Schoolhouse Magazine for the opportunity of a lifetime. My 10th grade daughter has been wanting to do more to take care of herself. When we found out about gotrybe.com, Boo Bear eagerly asked me to fill out the Vendor Interest Form for the crew. She knew this would be something she could do on her own and take responsibility for her own health. According to the FAQ, gotrybe.com is an “online fitness and nutrition community that delivers daily fitness, nutrition, wellness, and motivation content to students and teachers across the US”. They provide a place for kids and teens of all ages to get moving. gotrybe.com “encourages everyone to: GO get active, TRY something new and BE your best!” Their fitness videos are led by certified trainers.The nutrition information is approved by GoTrybe's own registered dietitian. When you create an account with gotrybe.com you get to choose which the Trybe that fits your grade level. There are three: ZooDoos for grades k-5, Trybe180 for grades 6-8 and NextTrybe for grades 9-12. Members earn points for participating in daily activities. The points from these activities can be used to purchase items for their personal avatars. Points are also used to achieve badges. 1. Fitness : this is where you choose your daily workout. You can choose from a GoTrybe workout or build your own. 2.Nutrition: you are given a short paragraph of information about something related to nutrition such as flouride and then you answer a question. 4. Wellness: These are short videos about health and wellness related topics such as texting while driving, relieving stress or handling embarrassing moments like tripping in front of your friends. TailorBear’s Thoughts: “It’s good. I’m actually getting my heart rate up. I’ve noticed a difference in my core strength. I like everything about it." To read what other crewmembers have to say about gotrybe.com click on the banner below: All information is correct and accurate as of the date of this review. Disclaimer: As a TOS Crew member, I received 3, three month, subscriptions to GoTrybe free of charge to review. Supergirl and I have been reading an adorable book from Kregel Publications. This book, Andi’s Fair Surprise, is part of the Circle C Beginnings Series by author Susan K. Marlow. Supergirl is learning to read and is not quite ready for reading chapter books independently, but I thought we could try reading it together. I took the time to underline words I knew she knew and I would read until I got to an underlined word, then she would read it. This was good reading practice for her but we weren’t enjoying the book. So we stopped and we started over using the book as a read aloud. Andi’s Fair Surprise is the story of 6 year old Andrea Carter of Circle C Ranch and her trip to the California State Fair. She wants to bring her pony for a chance to win a blue ribbon but she is told that she is “too little”. While at the fair, Andi discovers a ring toss game. She really wants to win the cowboy hat and spends all her money trying to ring a peg. Discouraged and disappointed when she fails to win, she and her sister visit the exhibits to check for winning tickets. To her delight, Andi wins a black lamb. Unfortunately, she can’t keep it. Her family raises cattle and sheep are not allowed on the cattle ranch. In the end mother gives Andi a blue ribbon for character because Andi was very brave and gave up her lamb. These books are intended for children ages 6-8 who are ready for first chapter books. According to Kregel’s website, the reading level is 2.0 to 2.8 or an early 2nd grade to mid to late 2nd grade reading level. Based on my family and my experience, I agree with the reading level but for the interest level, I would say a better range would be age 5-7. BooBear was not ready for chapter books until she was in 3rd grade and about 81/2. I think she would have found Andi’s Fair Surprise to be a bit young since the main character is 6 years old. On the other hand these would have been perfect for Turtlegirl and Tailorbear who both read at an early age. I really wish Circle C Beginnings would have been available whey they were 4-6 years old. It can be so difficult to find age appropriate content in advanced readers. Despite my opinion that the book would be better suited for younger students, the moment the book arrived, Tailorbear whisked it away to read. She’s 12 and finishing up 6th grade. Turtlegirl, 19 months older, snuck off to read it as well. Both said that the book was a little babyish for them but that it was a good story. So even though they were years past the target range, they enjoyed the book. The plot line and simple language make these ideal for young readers, however, the topics such as giving up a lamb you won, can spark great discussions even among older children. Tailorbear, already having read the book to herself, listened to me read albeit covertly. She happened to choose to tidy the living room or work on a project at the same time I choose to read aloud) and asked me what I would do if she won a lamb. We talked about what circumstances would cause me to make her give it away and what would be necessary for me to allow her to keep it. Supergirl loved the book. She would bring it to me everyday to read aloud and would protest if I didn’t read more than one chapter. She would show me the book and tell me that she was going to go read it herself. This week she even took the book outside with her to “read”. When she is truly reading independently, I will be considering purchasing the rest of the books in the series. In the meantime we may stretch the enjoyment of the book with some free resources. There are coloring pages and activity pages for FREE to go along with each of the 4 Circle C Beginnings Books. Andi’s Fair Surprise retails for $4.99 and can be purchased at your local bookstore or through Kregel Publications. Look for 2 more books from the Circle C Beginnings Series in August 2011. The Crew reviewed the four books. To read the other reviews please click on the banner below. All information is correct and accurate as of the date of this review. Disclaimer: As a TOS Crew member, I received this book from Kregel publications free of charge to review. Do you or children like to read? Do you like e-books? Do you use a literature based approach to home education? If you answered yes to any of those questions you’ll want to know more about this bundle package of e-books from Yesterday’s Classics. I love to read. My children love to read (and be read to!). 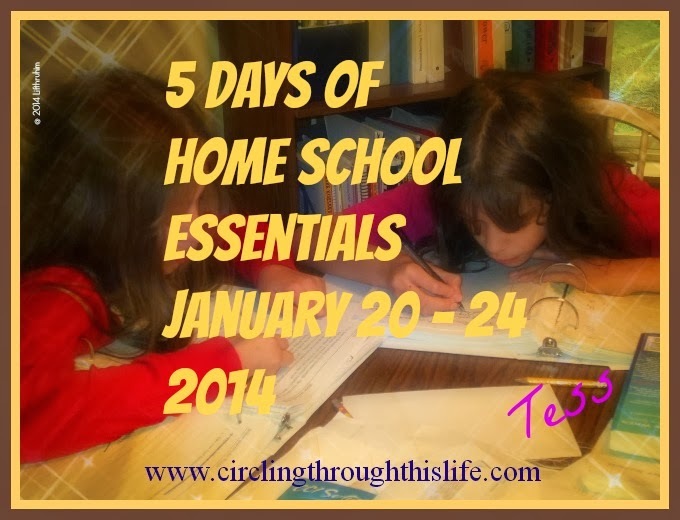 I use a literature based curriculum to home educate my children. I do not like e-books. Or rather I didn’t until I discovered Yesterday’s Classics. Grab a cup of coffee or tea or whatever hot (or cold) beverage helps you relax. Let’s talk about e-books from Yesterday’s Classics..
Yesterday’s Classics republishes out-of- print classics from “the golden age of Children’s Literature, the era from 1880 to 1920.” They have history books covering the great civilizations such as Greece and Rome and literature books including poetry and hero tales. The books encompass 22 genres! There are books for young children, books for upper elementary and even books for high school students! When I thought of e-books, I thought of PDF files that needed to be read on the computer with something like Adobe Reader. I found those difficult. frustrating and annoying to read on the computer. Yesterday’s Classics e-books are NOT PDF files. These books are formatted in Kindle format and in EPub format. EPub format can be read on a variety of e-readers such as Nook and Sony. I had been on the fence about purchasing an e-reader but when I found out about the e-book bundle deal, I knew I needed to purchase an e-reader. I also knew that if I was not chosen to review Yesterday’s Classics, I would be purchasing the bundle offer for $99.95. I purchased a Nook and then waited (rather impatiently) for the Vendor List to post. I was thrilled to see my name as a reviewer for Yesterday’s Classics. When purchasing the bundle, you get to choose Kindle or EPub formats. The TOS Crew also got to choose. Since I now owned a Nook, I chose EPub. So what is this bundle package? It is 225, yes that’s correct two hundred twenty five books, in Kindle or Epub format for $99.95. Guide to Downloading Files and Transferring Them to E-reader Devices. Guide to E-reader Devices and Software. I have found these list documents to be helpful in choosing books and planning which books to add to our studies. I can search for books on church history to add to our Sonlight Core 200 program or I can search for books on Greece, Rome and Egypt to add to our Sonlight Core 1/6 combo. I have found so many wonderful sounding titles such as Famous Men of Greece, Famous Men of Rome, The Early Church, Tales and Customs of the Ancient Hebrews. I’m looking forward to supplementing our study of the Middle Ages with some books about Vikings such as Viking Tales and The Story of Rolf and the Viking Bow. Though this is an incredible deal at $99.95, it is still an investment. Yesterday’s Classics offers The Dutch Twins FREE so that you can see the beautiful formatting for yourself. Click HERE to go to the offer page. Lots of information about the package so don’t skim too fast! If you read and scroll down you’ll see a link for downloading The Dutch Twins in your choice of Kindle or Epub formats. Click HERE for how to view this on your computer without a dedicated e-reader such as Kindle or Nook. I love have having these books available on my Nook. I love how well these are formatted. I can easily jump from one chapter to another and I like that that many of them include black and white illustrations. You don’t have to have a dedicated e-reader like the Nook to enjoy these books. You can also use them on your Ipod or Ipad. You can use them on the computer but you will need software such as the free Kindle App or the Nook app or something like Adobe Digital Editions or Calibre. The PDF file included with the download links describes the different e-reader applications and software and includes links. You can download the e-books and enjoy them on your computer and if you decide to get a dedicated e-reader in the future you can then transfer the books or copy them to the e-reader. In addition to the e-book bundle package, they do sell paperback versions of these titles. After June 1st, 2011 the e-books will be available for individual purchase as well as bundle but the $99.95 offer for the bundle ends May 31st! Edited to Add Breaking News! : Yesterday’s Classics has reinstated the availability to purchase individual e-book titles. Click HERE for Epub or HERE or Kindle. Yesterday’s Classics generously provided me with the 225 Title e-book bundle for Epub for review purposes.